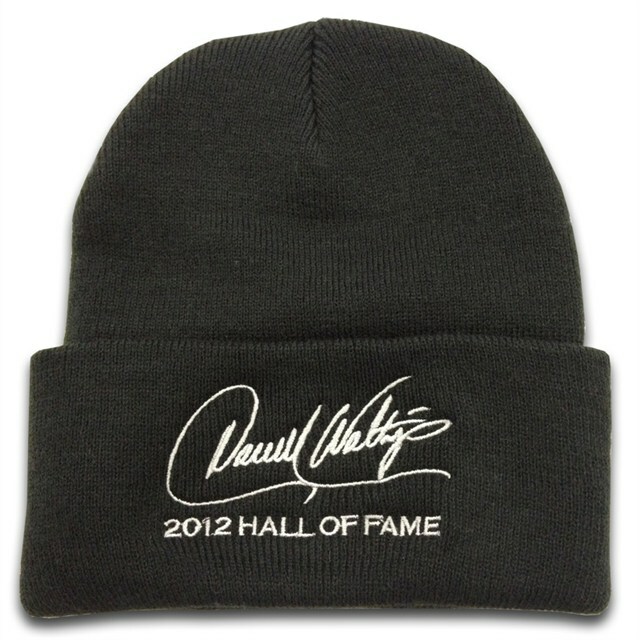 Keep your head well covered during cooler weather in Darrell Waltrip’s 2012 Hall of Fame Black Toboggan. They are made of 100% acrylic and feature a 3-inch folding cuff. Stay warm and look good!